Cancer Research UK is the UK’s leading cancer charity. Their scientists research into all 200 types of cancer. 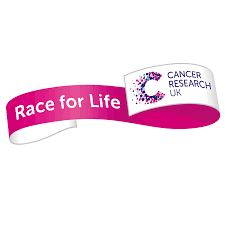 Netball Scotland is delighted to partner with CRUK to promote its Race for Life® events across Scotland. Race for Life® is suitable for all ages and abilities. The event is non-competitive and open to everyone – bring the whole family and walk, jog or run 5k or 10k at your own pace while raising valuable funds for Cancer Research UK’s lifesaving work. As Netball Scotland’s major funding partner we are grateful to sportscotland for the investment provided to assist us in employing staff, operating our business, and implementing participation, coaching and player development programmes. sportscotland is the national agency for sport in Scotland working with partners to increase participation and improve performance. 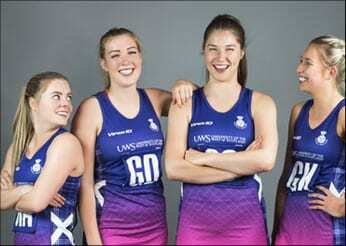 Netball Scotland are thrilled to announce a new 3-year partnership with The University of Strathclyde. Strathclyde Sport, the University’s new £31m sports centre opened its doors for the 2018 academic year, bringing state-of-the-art training, fitness and wellbeing facilities to the heart of the University’s campus and enhancing the quality of the Strathclyde student experience. The agreement with Netball Scotland underlines the University’s commitment to developing sport in Scotland at national and grassroots levels. Read more about our partnership with the University of Strathclyde here. Glasgow Sport is the only place in Glasgow dedicated to developing all levels of sport and physical activity in the city. Glasgow Sport have a development team covering 15 different sports as well as various areas of health and well being. Viper 10 Sportswear are Netball Kit Specialists. In 2012, Viper 10 was launched with the aim of changing the face of Netball Kit in the UK with vibrant, stylish and outrageously unique designs. Netball Scotland are the perfect partner for Viper 10 and together we embark on a new journey to change the game. Viper 10’s online 3D Netball Dress designer allows you and your team mates to design your own kit. In addition to this Viper 10 have a world-class product development team and in-house design studio at their Bournemouth headquarters. Viper 10 Netball kit has been designed by Netballers and tested with International players Geva Mentor, Stacey Francis and Claire Brownie. Viper 10 has spent the past 7 years developing the ultimate Netball range catering for on court and off court requirements for all body types. The Strathclyde Sirens are Scotland’s only semi-professional national female sports team based in the world-leading £113m Emirates Arena in Glasgow and competing in the Sky broadcast Vitality Netball Superleague. Owned by Netball Scotland, the Sirens are determined to blaze a trail for women’s sport in Scotland. If you would like to find out more about becoming a partner of the Sirens, CLICK HERE. Originally funded by our partner Glasgow Life, and with huge support from Active Schools in Glasgow, Sirens for Success has been delivered in 15 schools to over 300 teenage school girls across Glasgow City by our very own UWS Sirens and Scottish Thistle captain Claire Brownie. Netball Scotland secured additional funding through Spirit of 2012 which has enabled us to deliver the programme in a further 9 Local Authorities across Scotland. 400 teenage girls will be going through the additional programme, delivered by UWS Siren and Scottish Thistle Emily Nicholl.